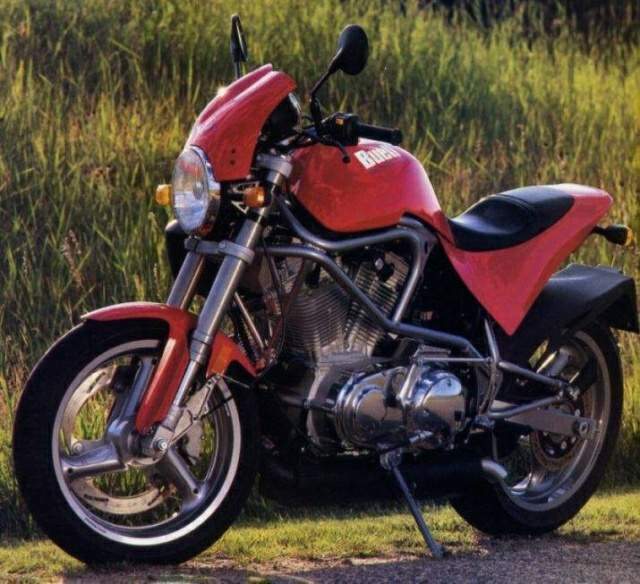 When Harley-Davidson acquired 49 percent interest in the Buell Motorcycle Company, the prospects for a genuine made-in-America sport bike dimmed somewhat. And the subsequent shift to the sport-touring configuration of the Thunderbolt underscored the concern. 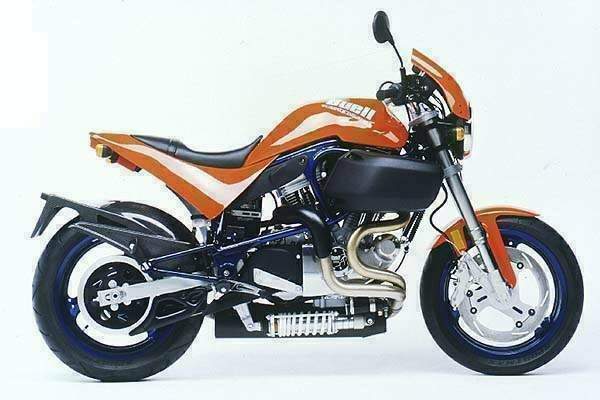 Would Harley-Davidson dictate the style and function of Buell motorcycles? Would the independent skunk works spirit fade with the pressure of Big Money from Milwaukee? Naah. 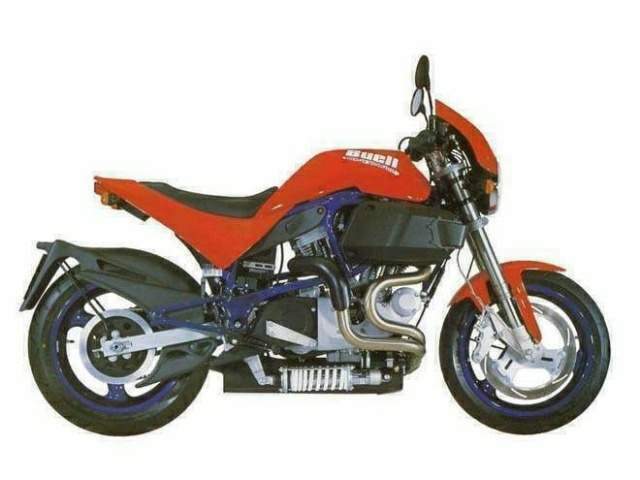 If anyone thought that Buell had gone soft, the S1 Lightning answered their concerns. The sportier, and $2,000 less expensive model got 10:1 compression, 91 horsepower at 5,800 rpm and a curb weight of 440 pounds (200kg). That the Thunderbolt is designated S2 and the Lightning S1 indicates that sport performance had not been demoted as a priority. Though the chassis are the same, the Lightning differs from the Thunderbolt in most other respects. The small windscreen, 4-gallon (15.1 lit) tank, seat/tail section and rear fender are unique to the Lightning, which is 25 pounds (11.3kg) lighter than the Thunderbolt. Add the 15-horsepower increase and the S1 takes a large stride in acceleration and speed. With the footpegs two inches (5cm) farther aft, the Thunderbolt rider adopts a posture closer to the racing crouch. Another obvious distinction is the Thunderbolt airbox, designed to flow more air to the high-performance engine and simultaneously subdue intake noise. The curiously low-tech muffler was also enlarged to exhaust spent gases quickly and quietly. The S1 turns in quarter-mile times under 12 seconds at 114 mph (183km/h), with a top speed of 130 (209km/h). With Harley-Davidson as partner, engine supplier and distribution network, the future of Buell's American sport bike looks uncommonly bright.